Freek Teunen started his University of Twente career in 2013 with the bachelor’s programme Creative Technology. This enthusiastic, creative and passionate young man will take all kinds of technologies into account to fulfil innovative dreams. Today, wheelchair-bound visitors of the Efteling, an attraction park in the Netherlands, can take part in the ‘Droomvlucht’ (dream flight) themselves because of Freek’s graduation project. You could say: High Tech Human Touch in a nutshell. Why opt for Creative Technology? In 2013 Freek Teunen started his bachelor’s programme Creative Technology at the University of Twente. “I did not want to work behind a computer screen all the time. I also wanted to build things and this programme matched best with my interests in business, creativity and technology. It combines computer science and electrical engineering technology in order to create new solutions to be made and used by people in our society ”, Freek explains. How will you become a Creative Technology expert? How did you come up with your graduation project? Freek always dreamed about working in a fairy tale park like the Efteling in Kaatsheuvel. When he got the opportunity to work on an innovative project in this park, he jumped to the opportunity. “The project came to life after a meeting with the people of the park and our UT. Of course, we needed to know what they had in mind. After that, we came up with a research project which focused on bringing the Droomvlucht experience to disabled visitors who were not able to ride it themselves. Bringing Droomvlucht to visitors in a wheelchair can be done by using different technologies. I did not only enjoy working on the project, but I could create impact on society as well. Because I had to travel a lot between Kaatsheuvel and Enschede I was very lucky to find a very welcoming host family to take me in for a couple of days a week. Passionately I worked on my graduation project and decided that Virtual Reality (VR) would be the best technology to use because it is the most immersive one. VR can create the feeling that you are IN the Droomvlucht and not only in a room watching a screen. The final prototype was tested with a group of visitors bound to a wheelchair and in the theme park as well. 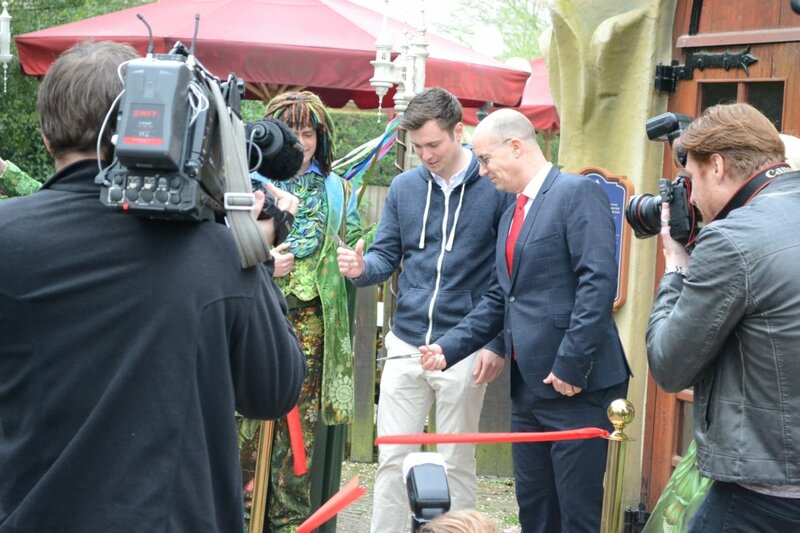 What about your experiences working with the Efteling cooperation? The Dutch online newspaper nu.nl made a reportage about Freek’s project and the new Droomvlucht attraction (in Dutch).